Please click on the drop down box below to see prices for the different lengths. SKU: 6012-8171051. Category: Underfloor Heating Mats. 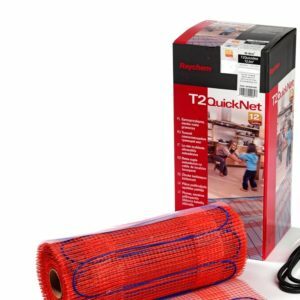 The T2 QuickNet electric underfloor heating mat is suitable for new builds and especially for renovations. At only 3mm thick the product is particularly suited for use under ceramic tiles or natural stone. The T2 Quicknet mat exists in different power outputs (90 and 160W/m²) and lengths (from 1m² to 12m²). self-adhesive mat for fast installation. no need for return cable. embedded directly in tile adhesive, right underneath the tiles. mat simply needs to be rolled out. 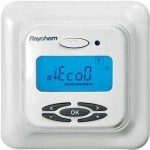 can be installed on all well insulated sub-floors. 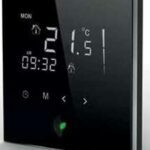 can be used in shower areas (wet rooms). many sizes available, even for smallest rooms. backed up with 12-20 years total care warranty. With one cold lead (dual wire system), the T2 Quicknet is ideal as direct underfloor heating for embedding in tile adhesive or filler underneath the top floor. Maximum construction height including tiles is 15mm. For rooms with a complicated shape, unlike may other heating mats, the cable can be easily loosened from the net to cover all heating areas. 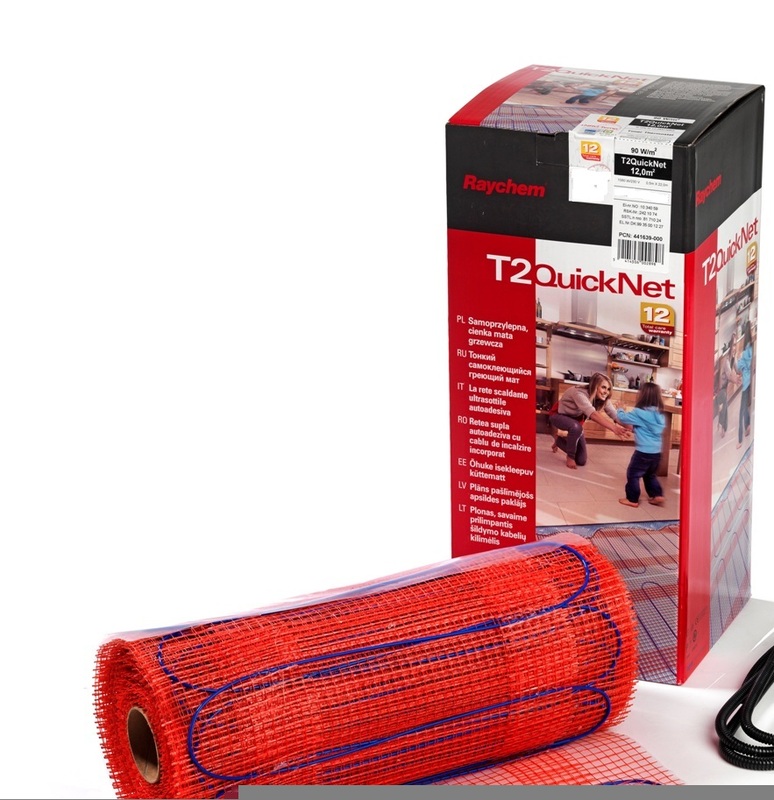 The T2 Quicknet 90 is suitable for well insulated floors and for complementary heating. The Quicknet 160 is suitable for fast heat up and poorly insulated sub-floors. Technical Details for the T2 Quicknet. Please click on the links below to download information about the T2 QuickNet. T2 QUICKNET 90 SPECIFICATION GUIDELINE. T2 QUICKNET 160 SPECIFICATION GUIDELINE.